Kudos to WordPress for creating such an easy tool that business owners across the globe are using their easy drag-and-drop interface to create professional online storefronts in minutes. Unfortunately, the flip side is that many business owners are creating websites that don’t convert website clicks into leads and sales. Many of our clients have come to us with beautiful well designed websites that are SEO friendly, but they all have the same problem… They get clicks to websites and very little sales. If web design and online sales optimization aren’t at the core of your skill set you could be missing out on a whole lot of sales, too. We want to see you get the most of your WordPress site, these tips will help you do just that. 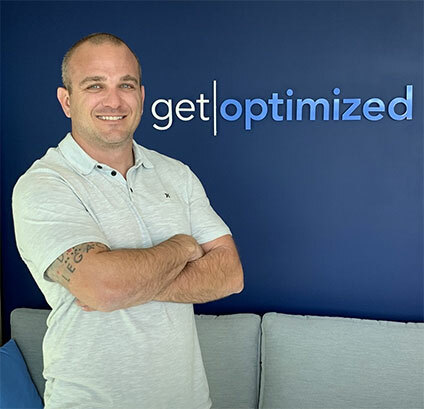 Get these conversion hacks in place today to make sure your site is conversion-optimized and making you all the sales it can. Amazingly enough, there are still websites out there that don’t play nice with mobile devices like smartphones and tablets. If you keep yourself even moderately up to date on online trends, you know that mobile devices are now responsible for more web traffic than desktop and laptop computers (we actually crossed the tipping point in 2014). So, first and foremost: get with the times and make sure your website is mobile-friendly. You might even consider designing with a mobile-first attitude. There are plenty of WordPress templates designed primarily for tablet and smartphone viewing, so there’s no excuse for mobile unfriendliness. WordPress widget areas are an essential part of your online sales campaigns. Your opt-in forms, navigation, blog sidebar (aka advertising space) should work together to help you guide your viewers through to a sale. How you arrange those widgets and where you place them can matter a lot. We saw a 12% bump in conversions just by moving our opt-in form from the right side of our page to the left. We recommend testing similar tweaks on your site to see where you get the best results from your WordPress widgets. Did you know there are tools out there that can track where your site’s visitors are coming from, then display customized messages based on the info? Well, now you do! Services like HelloBar, IntroBar, and others integrate easily with WordPress and allow to give user-specific greetings, calls to action, and opt-ins that build trust by building on established behaviors. You can (and should) customize your message with any deals, incentives, and/or acknowledgements you think will help build trust with your audience. Retargeting means going after site visitors that seemed interested, but who got away without purchasing or becoming a lead. A variety of WordPress plugins are available to drop a retargeting pixel in the browsers of all your website visitors. Then, when your “fence-sitters” are on social media or simply surfing the web, you can target them with advertising that may get them off the fence and in your sales funnel. 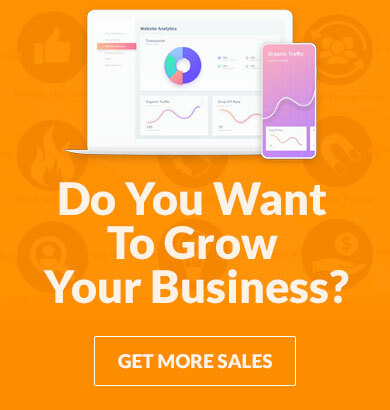 Depending on the retargeting tool(s) you choose, you can end up with a treasure trove of data about your visitors and how they respond to various ads, calls to action, special deals, and content. This can help you optimize your site down to the last detail. We recommend using multiple retargeting platforms – definitely don’t limit yourself to one. If that goes down… so does all of your retargeting efforts. There are WordPress plugins that allow you to split test (or A/B test) virtually every component and area of your site. From different images to different offers to different pop-up placements and timing and a whole lot more. Split-testing lets you figure out what converts the best. …and then keep testing as you try to improve upon perfection! If you don’t already have a heatmap plugin installed on your WordPress site, go get one NOW. “Heatmap for WordPress” has real time analytics and is currently a 5 star plugin. Heatmaps provide invaluable data as to how your visitors are interacting with your site. They will show you where people are looking and clicking, where they’re scrolling too fast to see anything but the color scheme, and where they linger as they try to decide: to buy, or not to buy? Using this information will enable you to put the best stuff where visitors are paying the most attention, and will turn your sales from tepid to steamy. This one should be as obvious as #1, but you’d be amazed how many online business owners get so wrapped up in the technical details they forget about the content! You can use tools like Buzzsumo to identify what’s popular in your industry each week. Once you find a popular topic be sure to write a blog post that will go above and beyond your readers expectations. It’s also important to strike the perfect tone in each post that will increase sales and engagement without driving visitors away – this is as much art as science. The words you write inspire the thoughts your visitors think and—more importantly—the feelings your visitors feel. Bonus Hack: Never Stop Improving! 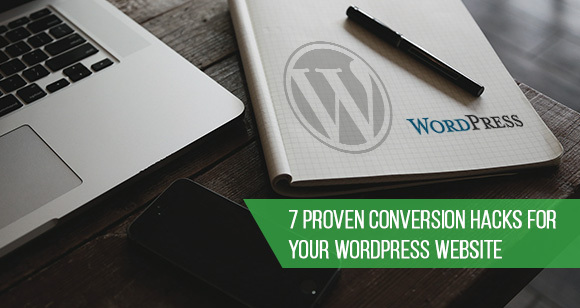 The biggest hack of all is to turn your WordPress site into a high-powered, pro-active conversion machine. All of the hacks mentioned above are continual steps down a never-ending road of improvement, not build-it-once business solutions. Any business that isn’t breaking new ground will lose ground to competitors that are, period.